WABAN, MASS. 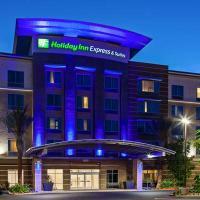 – Holiday Inn Express and Marriott deliver the best customer experience in the hotel industry, according to the 2018 Temkin Experience Ratings, an annual customer experience benchmark of companies based on a survey of 10,000 U.S. consumers. Southwest Airlines delivers the best customer experience in the airline industry, according to the 2018 Temkin Experience Ratings. Of the nine airlines included in this year’s Ratings, Southwest Airlines earned the highest score with a rating of 76%, putting it in 51st place overall out of 318 companies across 20 industries. Southwest has earned the highest score for airlines every year since the Ratings began in 2011, with the exception of 2015 when JetBlue came in first. Overall, the airlines industry averaged a 66% rating in the 2018 Temkin Experience Ratings and tied for 12th place out of 20 industries. The average rating of the industry is unchanged from 2017. “Southwest Airlines continues to set the pace for customer experience in the airline industry, but Alaska Airlines is closing the gap,” states Bruce Temkin, managing partner of Temkin Group. Alaska Airlines‘ customer experience score improved the most over the previous year, gaining six percentage-points. Spirit Airlines‘ score, on the other hand, declined the most, dropping five points.